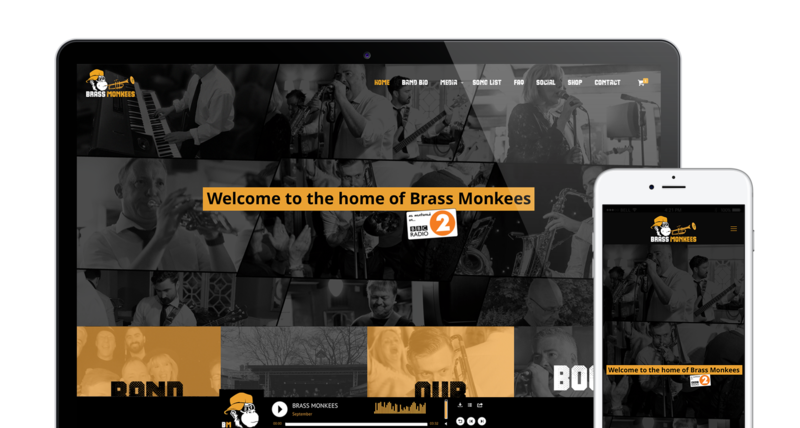 Brass Monkees was a newly formed band that required a website to showcase the band in a professional way. 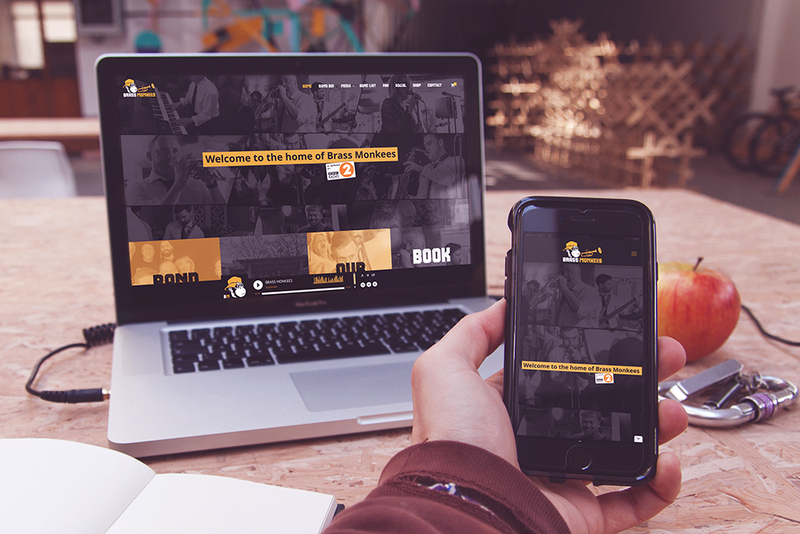 They required a website that showed the strength of the brand we had created for them, offering photos, social presence, videos, images and mp3's as well as lead capturing on each page. Having created the brand we proceeded to create a strongly branded website utilising the colour scheme and typography used on other materials. 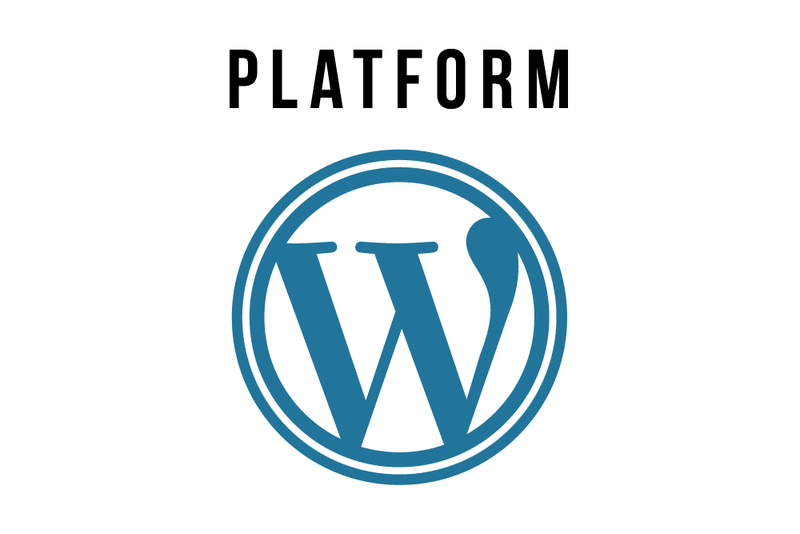 We made a responsive website that offered an mp3 player to the footer of every page, offered image galleries, about the band specialist plugins, video highlights and a strong social presence including a specialist social page pulling in latest social feeds.